On February 23rd, the Census Bureau released another piece of the much anticipated 2010 Census. 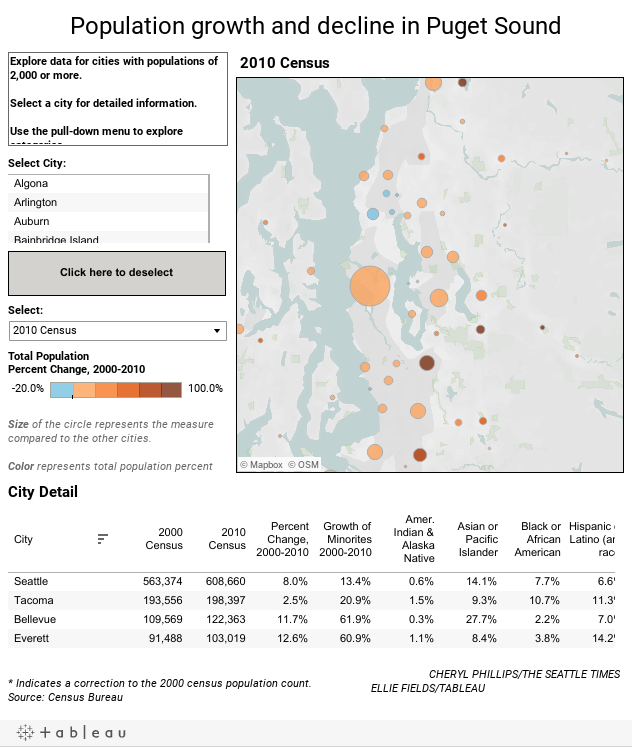 On that same day, Cheryl Phillips of the Seattle Times published this visualization that shows how population has shifted in the Seattle area over the past ten years. Talk about quick!